Judging by “the corpses’ advanced state of decay,” the US officers said the killings took place much earlier in the war – presumably before the Soviets lost control of the territory in 1941. They also saw Polish letters, diaries, identification tags, news clippings and other objects — none dating later than the spring of 1940 — pulled from the graves. The most damning evidence indicating the time of the tragedy and the country responsible for it was the relatively good state of the men’s boots and clothing: the state of the men’s uniforms showed that had not likely lived long after being captured. The records also contain other illuminating evidence. One of the most important messages that landed on Roosevelt’s desk was an extensive and detailed report from British Prime Minister Winston Churchill. Written by the British ambassador to the Polish government-in-exile in London, Owen O’Malley, the document pointed to Soviet complicity in the Katyn massacre. In the early years after the war, a special US Congressional committee was set up to investigate Katyn. In a final report released in 1952, it declared there was no doubt of Soviet guilt. It found that Roosevelt’s administration “suppressed public knowledge of the crime, but said it was out of military necessity.” It also recommended the government bring charges against the Soviet Union at an international tribunal. Moscow however has always denied it involvement in the Katyn shooting, claiming that Nazis staged the killing in 1941 after taking control of the area. An investigation conducted by the Prosecutor General’s Office of the Soviet Union and the Russian Federation was able to confirm the deaths of Polish citizens, blaming Stalin and other Soviet officials for having personally ordered the massacre. Why is Georgia Secretly Giving Student Test Scores to Military Recruiters? In 2006, Marlyn, a mother who lives in Gwinnett County with her children, was surprised to hear that her son Kyle, a senior at Brookwood High School, had taken the ASVAB test. ASVAB or the Armed Services Vocational Aptitude Battery test is the military’s entrance exam, given to recruits to determine their aptitude for military occupations. Marlyn does not recall consenting to her son’s taking of the test or for the results to be sent to military recruiters. Her son did not know either that the results will be sent to recruiters. Kyle was subsequently contacted by recruiters and Marlyn had a tough time getting them to stop once Kyle had made a college selection. Marlyn and Kyle are certainly not alone. In fact, Georgia’s record in terms of protecting the privacy of students who take the ASVAB test has gotten even worse over the years. With the start of the school year, the ACLU Foundation of Georgia sent a letter to Georgia’s State School Superintendent, Dr. Barge, asking for protection of privacy rights of Georgia’s high school students who take the ASVAB. Even without a student’s or parent’s consent, the ASVAB test may be used to send highly sensitive information about a student to the military for purposes of recruitment. After the administration of the ASVAB test, military representatives may directly communicate with youth to suggest military career paths, based on the individualized profiles ascertained from their test data. U.S. Military Entrance Processing Command (USMEPCOM) Regulation 601-4 identifies the options schools may choose regarding the administration and release of their students’ ASVAB results. These options include Option 8, which provides high schools and their students with the students’ test results, but does not entail automatically sending the results to military recruiters. In its letter, the ACLU of Georgia asks that a state-wide policy that requires schools to protect such information be adopted in Georgia, specifically, a policy that requires the selection of option 8 by school officials. States such as Maryland and Hawaii and cities such as New York City have required that their public schools respect student privacy by enacting laws and policies in which schools must choose Option 8 when the ASVAB test is administered. In documents obtained under the Freedom of Information Act by the National Coalition to Protect Student Privacy, not a single high school in Georgia selected option 8 during the 2010-2011 school year, while the ASVAB test results of more than 26,000 students was marked by Options 1-6, meaning test results and student information may be released to recruiters without prior consent. The data for 2011 covering more than 29,000 students indicates the same. If school officials do not select a release option, the school’s Educational Support Specialist will select Option 1 which entails automatically releasing the information to military recruiters. In 2009-2010, 83.9% of the children in Georgia were tested under Option 1. This percentage had increased to 87.7% of Georgia’s students in 2010-2011. This lack of protection for students’ privacy also contravenes the obligations of the U.S. government and the State of Georgia under international law. The U.S. ratified the Optional Protocol to the Convention on the Rights of the Child on the involvement of children in armed conflict in 2002. The Protocol is therefore binding on the U.S. government and state and local government entities and agents, including Georgia public schools. As part of the treaty mechanism, the U.S. has to submit a report every four years to the Committee on Rights of the Child (CRC), the United Nations body that monitors compliance with the Optional Protocol. The U.S. government’s latest report to the CRC will be reviewed by the Committee in January 2013. The list of issues to be discussed during this review includes the use of the ASVAB test in schools including the age of children who were given this test and whether parents have the possibility to prevent their children from taking it. We hope that this will be an opportunity for the U.S. government and Georgia schools to provide needed transparency and to be held accountable to their international obligations as well as obligations to protect the privacy of Georgia students. Azadeh Shahshahani is the Director of the National Security/Immigrants’ Rights Project at the ACLU of Georgia. She is the president-elect of the National Lawyers’ Guild. September 10, 2012 Posted by aletho | Civil Liberties, Militarism, Timeless or most popular	| Armed Services Vocational Aptitude Battery, Georgia, Privacy, United States | Comments Off on Why is Georgia Secretly Giving Student Test Scores to Military Recruiters? ROMNEY: The president has not drawn us further away from a nuclear Iran. And in fact Iran is closer to having a weapon, closer to having nuclear capability, than when he took office. This is the greatest failure, in my opinion, of his foreign policy. He ran for office saying he was going to meet with Ahmadinejad. He was going to meet with Castro, Kim Jong Il. All the world’s worst actors, without precondition, he’d meet with them in his first year. GREGORY: President Bush said that he would stop Iran from going nuclear. So did President Obama. Neither one were able to achieve that. Correct? ROMNEY: President Obama had a policy of engagement with Ahmadinejad. That policy has not worked and we’re closer to a nuclear weapon as a result of that. In this context, “going nuclear” would seem to refer to producing a nuclear weapon, which nobody claims Iran has done. Gregory has mislead viewers on this before: “Iran: Will talks push that country to give up its nuclear weapons program?” he declared a few years back (10/4/09). There is as yet no evidence that Iran is pursuing a nuclear weapon. What we know now is that the country has a nuclear energy program, and some countries demand to know more about that program, based on the theory that Iran is hiding something. Perhaps they are, but no evidence to that effect exists. The prevailing view now is that a nuclear Iran cannot be safely contained. On this point both President Obama and Mitt Romney agree. It’s a strange argument, given that Iran says that’s what it’s doing, and the inspectors that are supposed to monitor Iran’s nuclear program are already reporting that there is no evidence any of the country’s uranium is being diverted for a weapons program. It sure doesn’t seem as if sanctions relief is right around the corner. A truly novel media approach that Keller–or any other columnist–might want to try: Assume, for the sake of novelty, that Iran is not pursuing a weapons program. Then take every fact of the Iran showdown–the sanctions, the threats from various Israeli government officials that a military attack could be imminent–and try to reconcile them with the assumption that Iran is not developing the weapons that are the focus of so much controversy. It’s much more difficult to rationalize U.S. policy if one explores this “theoretical exercise.” Which is likely why pundits like Keller go a different route. RAMALLAH — The Israeli occupation forces (IOF) demolished 10 Palestinian-owned structures in Area C of the West Bank this week, including five residential structures, displacing 32 Palestinians, including 14 children, according to a weekly report issued by the UN office for the coordination of humanitarian affairs (OCHA). In a report covering the Israeli violations from august 29 to September 4, OCHA noted that Israel has demolished since the start of the current year 467 residential buildings and displaced 702 Palestinians during the same period. During the reporting week, 17 Palestinians, including four children, were injured by the IOF, mostly during protests. The settlers also carried out a number of attacks on Palestinian citizens and their property in the West Bank. Their attacks included racist slurs, arson attacks on agricultural lands and cars, throwing stones at vehicles. On 7 September, Foreign Affairs Minister John Baird announced that Canada is suspending all diplomatic relations with Iran, expelling all Iranian diplomats, closing its embassy in Tehran, and authorizing Turkey to act on Canada’s behalf for consular services there. Baird cited Iran’s enmity with Israel, its support of Syria and terrorism. “Canada views the government of Iran as the most significant threat to global peace and security in the world today,” Baird said at the Asia Pacific Economic Conference in Vladivostok, Russia. While indeed Iran has been the nation most outspokenly critic of Israel, and is actively working to thwart the Western-backed insurgency in Syria, there is no evidence of its support for “terrorism”. It is in fact the victim of terrorism on the part of Israel and the US, which boast about assassinating Iranian nuclear scientists and destroying Iranian computers with viruses made-to-order, among other officially-sponsored acts of subversion. Iranian Foreign Ministry spokesman Ramin Mehmanparast suggested that the real reason for Harper’s latest targeting of Iran was because of Iran’s successful hosting of the Non-Aligned Movement (NAM) summit in Tehran in August. Leader of the Islamic Revolution Ayatollah Ali Khamenei says Tehran’s hosting of the 16th NAM Summit was a “humiliating defeat” for the West. As if scripted, Israeli Prime Minister Benjamin Netanyahu immediately commended Canada’s decision. With good cause, as it looks suspiciously like a response to a direct Israeli request. Canadian foreign policy is now made in consultation with Israeli advisers under a public security cooperation “partnership” signed in 2008 by Canada and Israel to “protect their respective countries’ population, assets and interests from common threats”. Israel security agents now officially assist Canada’s security services, the RCMP and CSIS, in profiling Canadians citizens who are Muslims and monitoring individuals and/or organisations in Canada involved in supporting the rights of Palestinians and other such nefarious activities. The barring of British MP George Galloway from entering Canada in 2009 on a North American tour was done as a result of this cooperation. Baird’s claim that Iran supports terrorism is one that Israeli agents have been making in Ottawa under this partnership. Harper has publicly stated he is convinced that Iran is trying “beyond any doubt” to develop nuclear weapons, with ‘evidence’ supplied by these advisers, though it is unlikely that such claims convince anyone, but rather merely confirm public perception of his devotion to Israel. -allow goods manufactured in occupied territories by illegal settlers to be labelled “Made in Israel” under the 1997 Canada-Israel Free Trade Agreement 1997. And as is the case in the Obama/Romney ‘race’ next door, there is no peep of protest from Canada’s opposition liberals or socialists. Interim Liberal leader Bob Rae (whose wife Arlene Perly is past vice president of the Canadian Jewish Congress) met with Netanyahu on his official visit to Canada in February this year, and afterwards said the visit “gives all Canadians the chance to reflect on the deep friendship and strong ties between Israel and Canada”. In a bizarre non sequitur, the ‘Liberal’ leader added, “Iran’s regime is a threat to the security of the region and the world. A nuclear armed Iran would mean the threat of even greater proliferation and instability in the region, is a direct flouting of international law, and obviously raises the deepest concerns in Israel for its security.” Apparently a very much ‘nuclear armed Israel’ which daily threatens to bomb Iran does not raise his ‘deepest concerns ‘ for Iran’s security. After meeting with Israeli President Shimon Peres during his official visit to Canada this May, New Democrat leader Tom Mulcair, told the press, “My in-laws are Holocaust survivors. Their history is part of my daily life. That’s why I am an ardent supporter of Israel in all circumstances.” Mulcair’s wife, Catherine Pinhas, was born in France to a Sephardic Jewish family from Turkey. Canadians for Peace and Justice in the Middle East and Independent Jewish Voices criticized Mulcair for accepting financial support from pro-Israel lobbyists. It appears Ottawa is ready and willing to join Israel in any attack. Harper has said, “An attack on Israel is an attack on Canada.” There have already been US-conducted military ‘exercises’ involving Canadian ships off Iran’s coast. 160 Canadian troops have died senselessly in Afghanistan over the past decade. Now Harper wants them to die for Israel in an invasion of Iran, orchestrated to look like it is in defense of Israel. The NAM summit clearly ruffled some feathers. Iran is supported by the great majority of the world’s people and governments, both as a courageous opponent to US and Israeli imperial intrigues, and as a model for countries that want to develop independent, peaceful nuclear power as an alternative to oil. The summit strongly supported Iran on both counts. Iranian leadership of NAM during the next three years promises to be innovative and energetic. Even as Baird embarrassed Canadians with his undocumented accusations and violations of diplomatic norms, Mehmanparast called on the UN to fulfill its obligations towards Palestinians and respond forcefully to Israel’s killing of six Palestinians in besieged Gaza last week. “As the rotating president of NAM, the Islamic Republic of Iran expects all international institutions affiliated to the United Nations to adhere to their responsibilities towards the Palestinian nation.” The hysteria in Tel Aviv, Washington, and now Ottawa is not without cause. Three people were treated for injuries related to tear gas after an attack by illegal settlers in the village of Qusra near Nablus on Saturday night. The attack comes roughly a year after Qusra resident Issam Kamel Odeh, 33, died from Israeli gunfire after settlers invaded the village in September of 2011. Shortly before six in the evening Saturday, five settlers came onto the land of Akram Taysir Daoud at the edge of Qusra village. Soon after, they began beating the man’s wife and yelling obscenities at his mother. Additional raiders arrived until there were a total of fourteen settlers on the land. In an attempt to get help, Akram Taysir called the mayor of the town. The mayor alerted the people of the village to come to the farm, and then called both the local District Coordination Offices to report the attack. The invading settlers sealed a well on the property with a large stone. Israeli soldiers arrived at the village thirty minutes later. According to Abdel Ahrim, a resident who observed the event, soldiers began firing tear gas shortly after their arrival. Abdel Ahrim stated that soldiers fired 30 total tear gas bombs. Thirteen of these were fired directly into the house of Abdul Majid Towfeek, a resident of Qusra. Abbdel Ahrim reported that the commanding officer told the mayor that if any of the villagers followed the soldiers over the hill, he would burn the village down. Soldiers fired three times before leaving the immediate area of the conflagration. According to Red Crescent workers, three people were treated for injuries related to tear gas, two for inhalation, and one for an injury he received when a canister hit him in the ankle. 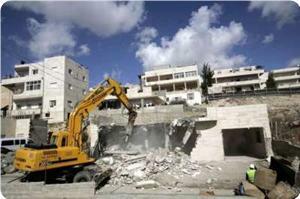 This is the second invasion by settlers on the village of Qusra in as many days. 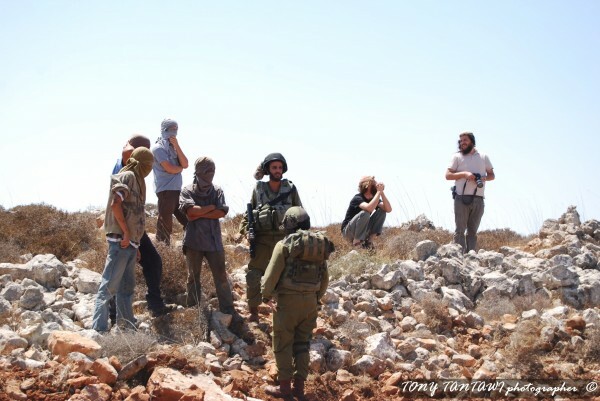 Yesterday, settlers from the nearby illegal development of Aish Coddish came onto land belonging to the residents of Qusra village. Photos of that incident show that they were armed with an M16 rifle. At that time, officials from the occupation forces told the mayor of the town that the only recourse for the farmer involved was to go to the local Israeli-administered court and file a complaint against the settlers. This type of legal appeal requires the petitioner to either hold an Israeli identification card, or to hire a lawyer who holds an Israeli ID to file the complaint. Most Western headlines about Yemen lately have focused on the “al-Qaeda threat” and “US drone strikes on suspected militants.” Unfortunately, neither give much credence to the real challenges facing Yemenis since former President Ali Abdullah Saleh transferred his powers to his Vice President Abd-Rabbu Mansour Hadi on 27 February 2012 through a Gulf-brokered transitional plan. The initiative was viewed as an attempt by Saudi Arabia to subvert Yemen’s revolution and stop it from spilling across the border. The US worked behind the scenes and strongly backed the initiative after finding in President Hadi a suitable successor who would support their drone campaign in Yemen. US drone strikes have only intensified since Hadi assumed power and are causing popular outrage towards both the US and the Yemeni government as civilian death tolls mount. Yemen’s 2011 revolution demanded an overall change in the economic, political, social and military spheres. Among the main demands of the 10-month revolution were the change of the regime, an end to Saleh’s corrupt family rule and the reconstruction of the army. According to the Gulf transitional plan, begrudgingly signed by Saleh on 23 November 2011, President Hadi will serve for an interim two-year period in which his main tasks will be the reconstruction of the military, conducting a national dialogue, drafting a new constitution and preparing for the 2014 elections. Six months on, Hadi and his interim government are still facing many challenges impeding the achievement of these goals. Among these challenges are the weekly, if not daily, suicide attacks and car bombs allegedly by al-Qaeda, the assassinations and assassination attempts of military and political figures, the continuous attacks on the power grids and gas pipelines allegedly by tribes in Mareb, the Hirak separatist movement in the South, the Houthi rebels in the North, the deteriorating humanitarian conditions, and catastrophic food and refugee crises gripping the country. However, thwarting Hadi’s attempts to advance on any of these fronts is former president Saleh himself. Those who are not following Yemen closely might be amazed to know that Saleh still lives in Yemen’s capital Sanaa and has awarded himself the title of “leader” to replace the lost title of “president.” He still heads the General People’s Congress (GPC), the former ruling party that is a 50 percent partner in the current National Unity Government, and is thus constantly disturbing the transitional process through loyalist supporters. His family members still hold key military positions. Ahmed Saleh, the son of the former dictator, remains the leader of the Republican Guards and Yahya, Saleh’s nephew is still the head of the Central Security Force. Yemen is paying dearly for the Gulf plan, which did not ban Saleh or his family from participating in the country’s political and military spheres. The Saleh family still plays a prominent role despite some efforts by Hadi to remove some members and loyalists from the military and governmental posts. Some argue that Hadi lacks the power or the will to remove the two men close to Saleh entirely from their posts. “The fact that these two forces [Republican Guards and Central Security] were the reason behind almost all the blood spilt in the revolution and yet their leaders are still reigning is beyond me,” says Luai Ahmed, an 18-year-old Yemeni student and activist. In a blatant sign of defiance to Hadi’s decision to reconstruct the military, the pro-Saleh Republican Guards troops besieged the Ministry of Defense on 14 August, while the president was out of the country, killing five people and wounding nine others. In late July a group of policemen and tribesmen loyal to Saleh occupied the Ministry of the Interior and looted its contents, killing 15 people. According to a local report, Hadi himself has already survived six assassination attempts in only seven months in office. Yemen is often touted as an Arab Spring success story that has deposed its dictator, but reality is Yemenis are still suffering from political instability, violence, electricity and water cuts, inflation, unemployment, and food shortages, all of which have only intensified in the aftermath of the revolution. “The fact that people are more aware of their rights and the corrupt deals the previous government made, forces them to escalate their demands and put pressure on the government,” said Shatha al-Harazi, a political and human rights journalist. UN Envoy to Yemen Jamal Bin Omar stated that non-military sanctions under Chapter VII of the UN Security Council Charter will be imposed against any official who attempts to hinder the political settlement, including the freezing of assets and a travel ban. However, the empty threats by Hadi and the UN, repeated ad nauseum, have not deterred Saleh and his loyalists from seeking to undermine Hadi’s power and hinder the implementation of the Gulf plan which ousted him from power. Unless Saleh’s family is truly dismissed from positions of power and international sanctions are immediately imposed on them, Yemen will continue to suffer from political instability and insecurity. The United States has reportedly dispatched a large number of troops and military hardware to a military base in southern Yemen. According to some Yemeni media, about 4,000 American troops, a number of F-16 jet fighters, Lockheed C-5 Galaxy military transport aircraft and Apache helicopters have been stationed in al-Anad Air Base in Lahij province. The deployment of the American forces and military hardware to Yemen has changed the Arab country to one of the biggest US military bases in the Middle East, the reports say. In July, Yemeni military sources unveiled that about 150 American troops equipped with high-tech military and communication tools have arrived in Yemen. The US soldiers arrived in the al-Anad Air Base on a military plane on July 1, the Ansarullah website quoted Yemen’s military sources as saying. In May, US Defense Secretary Leon Panetta for the first time admitted to the use of drones in Yemen. The United States has launched frequent assassination drone attacks not just in Yemen but in Pakistan, Afghanistan, and Somalia. The attacks have left thousands of people dead over the past few years.